We live near Denver, Colorado. Locally manufactured items qualify for LEED points if they are made within 500 miles of home. There are several local manufacturers of vinyl or uPVC windows in that radius but far fewer for fiberglass. Milgard, one of the largest window manufacturers in the U.S., have had manufacturing facilities in Denver, Colorado since 1996, although they also manufacture at other sites outside the 500 mile radius. Among the most energy efficient windows made in the USA, Alpen High Performance Products manufactures in Longmont, CO. They have been making energy efficient windows since the 70’s. Although briefly owned by Serious Windows in CA, ownership transferred back to Alpen in 2012. 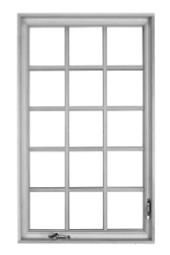 I fortunately found a website that allowed me to cost out Milgard windows and doors. The Window Store is located in California but my quote showed that the doors I would order would ship from Denver–and I had the option of picking up the order to save the shipping of $150. I was thrilled to work with the software putting in the numbers for the doors and varying the configurations. I got lots of idea about how to arrange the large window/door area and used the overall quote to get an idea of the pricing on higher end fiberglass doors with wood interiors. The cost of Milgard doors is about 20 to 30% less than the fiberglass high performance options from Alpen. But the numbers are not nearly as impressive. For French doors the u factor is about .29, the solar heat gains are low with every choice of glass–about .2 and lower and low visual transmission figures too. The numbers for the Alpen solar heat gain glazing option on a sliding door is a u value of .19 and SHGC of .41. That is impressive and qualifies for “Very High Efficiency” ratings from LEED. Alpen windows and doors offer a “triple pane” option by using an interior film to improve u values. We already have two windows with cracked films, but there were lots of film failures in the 80’s and 90’s while Alpen seems to have had success. Apparently all these films come from Southwall (now owned by Eastman Chemical) in Chicago and they manufacture “Heat Mirror IG”. The company was sued for many failures but they won the cases because the other manufacturers did not follow the specifications published by the company. There are several window companies that use the film. Milgard also states higher air infiltration rates than Alpen–.1 and .07 for Milgard and .02 for Alpen for 525 series casement windows. So Alpen is our first choice for the new windows and doors for the house. Unfortunately although the Milgard options have wood clad interiors for both the windows and doors, Alpen offers wood clad fir or oak only for windows. Also I had hoped to purchase outswing french doors for the living room to really open up that area to the courtyard, but Alpen does not offer them although Milgard does. They do offer both inswing french doors and sliding patio doors. Configuring new windows and doors differently from what is already installed can be very tricky. We are working on that configuration now and have gone through almost every option we could think of for the doors and several for the windows. More about the ordering process next. This entry was posted in Air Intrusion/Thermal Envelope, Construction, Energy Efficiency, Local Products. Bookmark the permalink.